Wow! 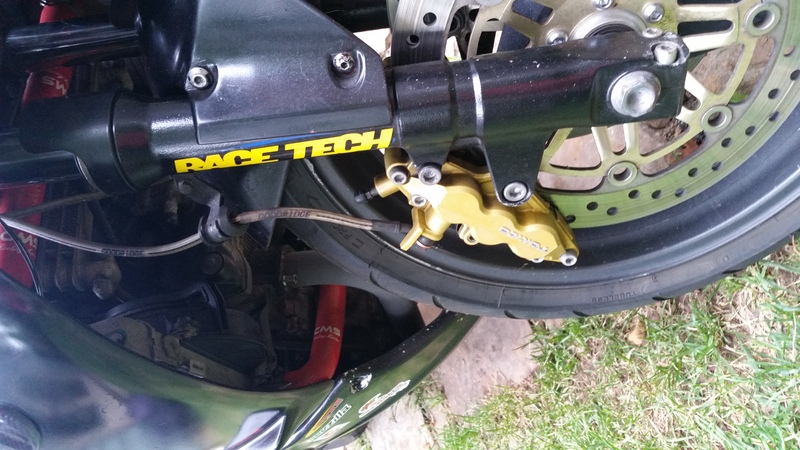 After the hundred mods done to my '98, the '01 gsxr brakes (133.00 ebay plus 35 pads) this mods had to be in the top 100. Ha. Serious, the feel at the lever, moderation, and power is way better than stock. I have been running stock calipers w/good pads and a f4i master and s/s lines for a couple of months, just got to the calipers. Incredible. Took 35 minutes, including install of pads and flush w/ dot 4. The chrome finish from f4i master is blinding in the sun, gonna shoot it black. 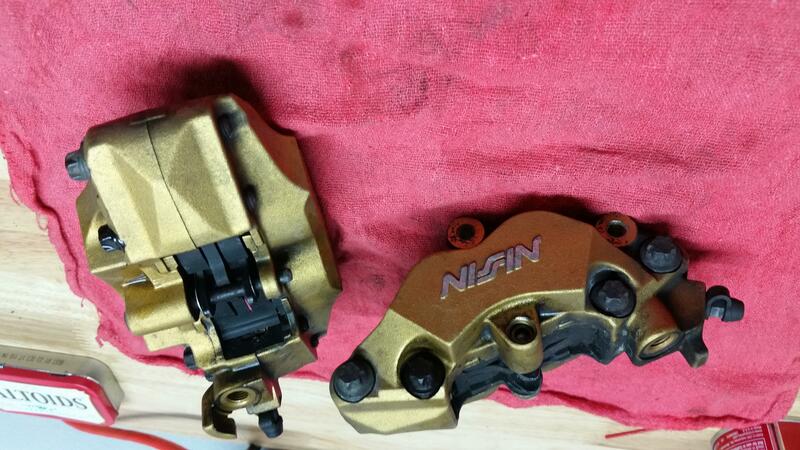 Also, stock brakes for sale, 30 bux in great shape. Dirty but great. The stockers are perfectly fine, except for the feel. At most I would have done F4i brakes, and that would be after sorting suspension. 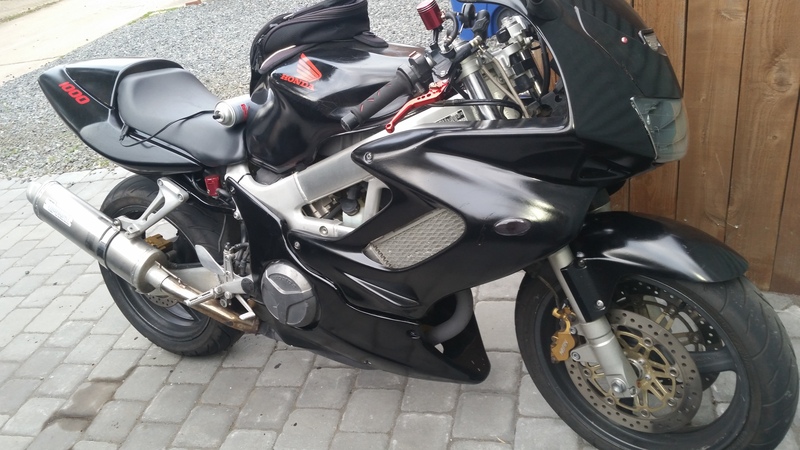 Oh, and USD forks made a HUGE difference in stopping due to reduced dive, better brakes, and less flex. And I'm still using the stock master cylinder. Gasp! Last edited by Just_Nick; 06-27-2016 at 06:30 AM. 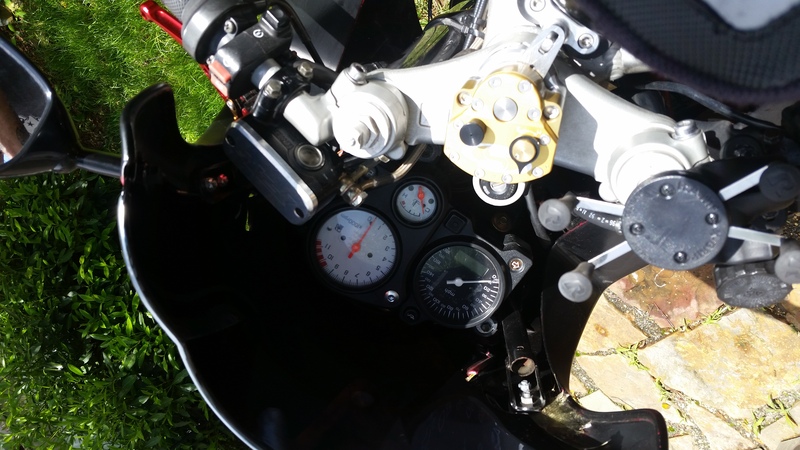 CBR954 brakes for me, smaller caliper pistons and bigger master cylinder compared to the 600F4i, for better feel and no less power.